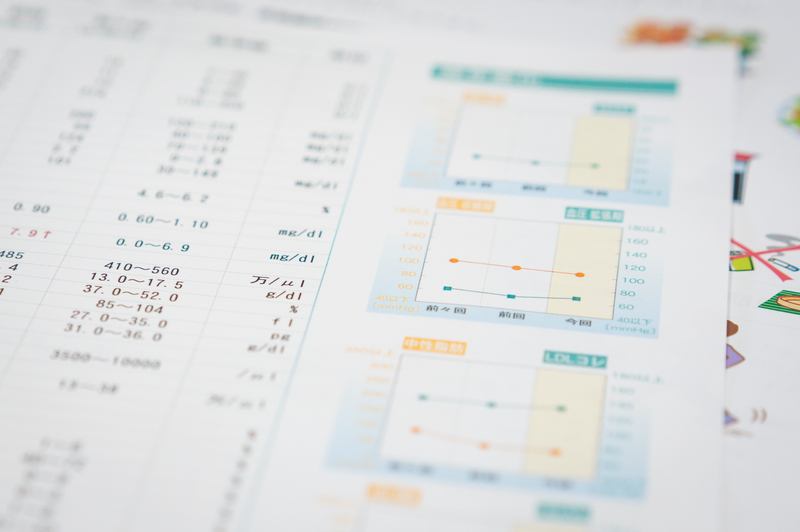 NAIST is dedicated to maintaining the physical and mental health of its population. While the on-campus Health Care Center provides services all year round, the university also conducts an annual medical checkup for all students and staff. 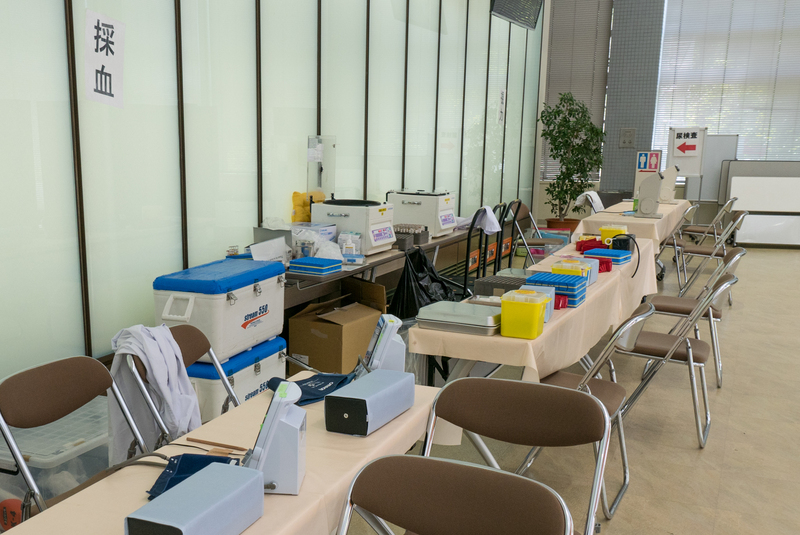 The checkup is spread over three days for each of NAIST’s three graduate schools, covering over 1000 students. The blood pressure test, blood test and visual acuity test waiting for their assembly line workers nurses. Each station takes no more than a few minutes. A team of doctors and nurses are strategically stationed, making the procedure very quick and efficient. The range of tests is thorough, despite taking no more than 30 minutes to complete. It includes body measurement, visual acuity test, hearing test, blood pressure measurement, chest x-ray, urine test, and blood test. Additional tests are conducted for students handling specific substances or equipment. Visual acuity test, urine test. There are a few things to remember before you head to your checkup: bring the provided health form, stop eating the night before your checkup, and don’t go to the toilet in the morning. The line gets long, so the smart bet is to go early. 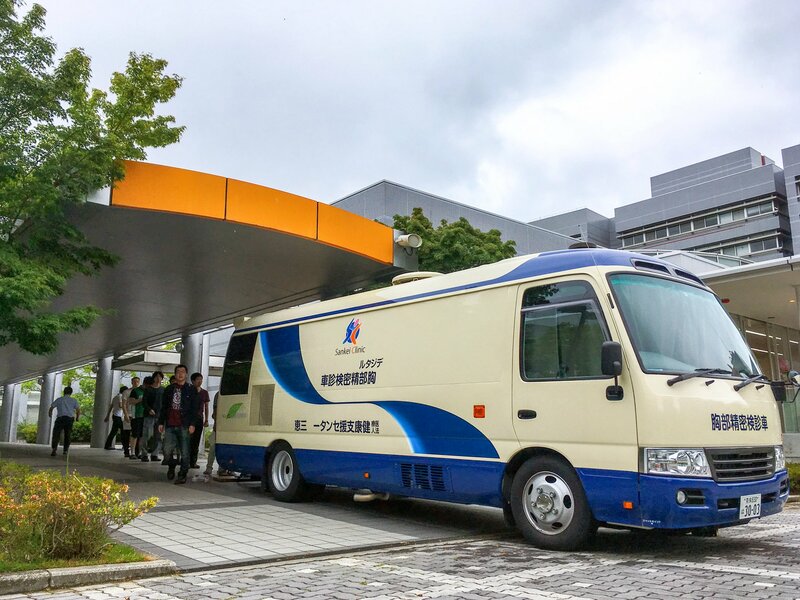 When you see the X-ray mobile, you know it’s medical checkup time in NAIST! After the test, students receive a detailed report with recommendations on how to improve their health. 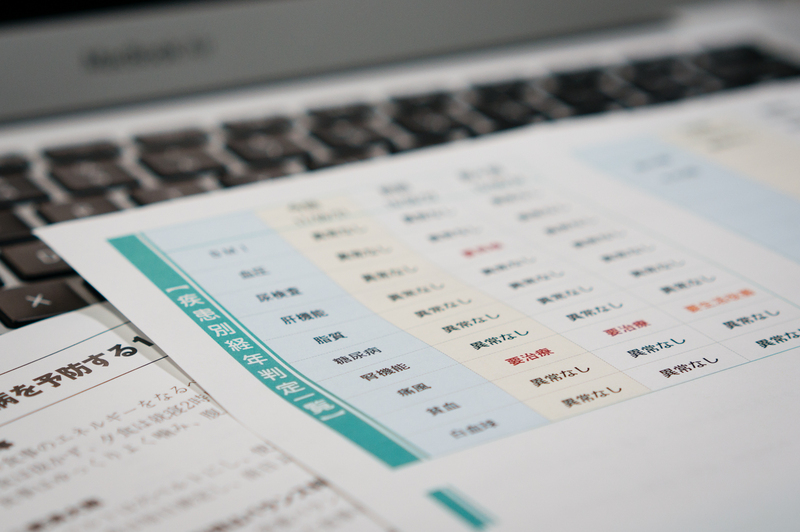 Medical checkup sheets follow your data from up to 3 years ago. Did the health check say you got too fat? Then why not join one of the sports clubs on campus, lose the weight and become a supermodel? The list of active sports groups is maintained by NAIST GSK here. Enjoy!